This production print was developed to generate physically-accurate gemstones in 3D. The render features a high number of raytracing levels so as to properly simulate light behavior with regards to reflection and refraction. In addition, this was rendered with dispersion features which accurately simulates the breakup of light wavelengths when passing through certain materials. This can be seen in the red, green and blue wavelengths scattered throughout. 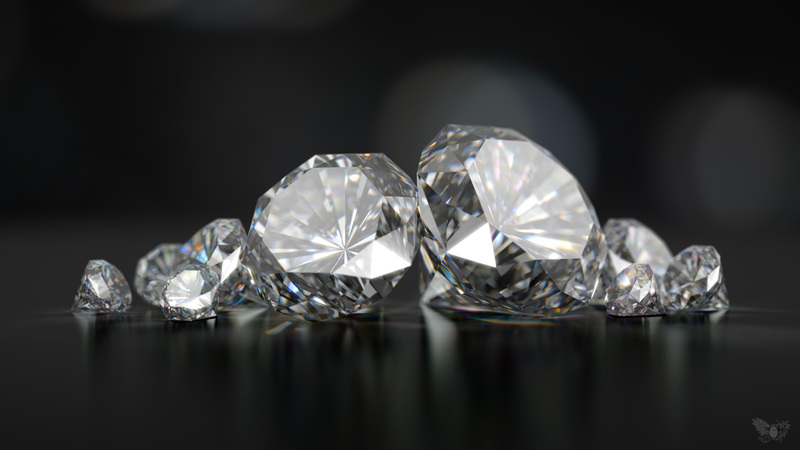 In general, jewelry is quite challenging to create in 3D due to it’s complex light-bending properties but this render yielded decent and believable results. This was created using 3ds Max, rendered with VRay using global illumination and dispersion lighting techniques and composited with Photoshop.